Sin City’s resident rat rod crew at Welder Up is back and ready to turn up the torque on some of the biggest – and baddest – rat rods yet. Transforming forgotten cars into Mad Max-style works of art, motor mastermind Steve Darnell and his band of builders are fueled by passion and determined to exceed expectations on every build. The team at Welder Up gets creative turning pre-war junk and desert relics into one-of-a-kind cars while pushing their skills to the limit in all new episodes of VEGAS RAT RODS, premiering Monday, October 1st at 10PM ET/PT on Discovery. New episodes will continue to air Mondays at 10PM ET/PT and Tuesdays at 9PM ET/PT. A car rebel with a cause, Steve seeks to create meaningful art in every car he builds and he has the right crew – Justin Kramer, Travis Deeter, Dave Lefler and Merlon Johnson to help him bring his wildest rat rod ideas to life. 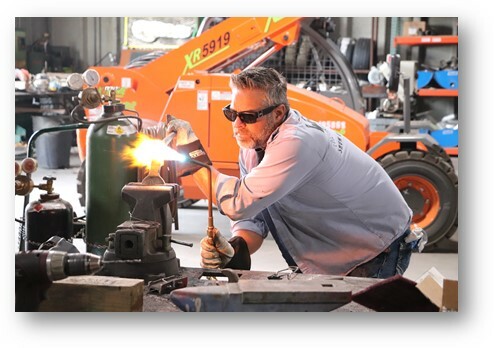 This season, Steve’s sons Chase and Kash join VEGAS RAT RODS to follow their father’s footsteps and broaden their welding and fabricating skills. Although they’re the youngest team members at Welder Up, they’re two welding sons of guns looking to keep rat rods around for generations to come. While Steve and the crew build some of the most outrageous rat rods, rebuilding some classic American Muscle cars on the side is never a bad idea. Bigger wheels? Badder engines? More horsepower? No matter what the build, the answer is always yes at Welder Up. Steve leads the team to resurrect and create the very best rat rods – each with their own story and for the first build this season, the crew honors the blood, sweat and tears of the American iron workers who shaped the nation by creating an iron worker-themed rat rod that is a work truck by day and a mountain-climbing beast by night. Exploring old ghost towns and searching through junkyards to find parts infused with iron-worker history, Steve incorporates every detail to make his vision become a rat rod reality. From junkyard relics to outrageous rat rods – there’s no room for games at Welder Up. The only sure bet in making a true Vegas rat rod is skill and dedication. Viewers can also catch the current season premiere, along with the past three seasons of VEGAS RAT RODS on the Discovery GO app – free with their paid TV subscription. VEGAS RAT RODS is produced for Discovery Channel by Discovery Studios, LLC. For Discovery Studios LLC, executive producers are Sandy Jarrell, Bruce Klassen and Suzanne Rauscher. For Discovery Channel, executive producer is Kyle Wheeler and producer is Brian Peterson.